A corporate blog provides a means to communicate news and information to website visitors, prospects and even purchasers. Ask yourself why you subscribe to certain blogs and it's usually because of industry-related information, education, or topics of high-interest. A corporate or project-specific blog is one of the easiest ways to provide information and value to your prospects, purchasers and website visitors. But it also has a secondary benefit – you're adding content to your website frequently (search engines like this); you're increasing the number of pages to your site (search engines like this, also); and, you can improve position for your keywords when you use them in your blog posts. Not bad for something that is inexpensive to start up and maintain! A definite advantage in your quest for getting found. If you're struggling with what to write about, you're not alone; but don't let that hold you back. Start with topics about what you do and your industry. In no time, you will find a voice and the number of applicable topics will expand. Your posts don't need to be long, but should incorporate your keywords. Often a blog post will rank higher in search engines than a page on your website with the same keywords. Seth Godin – he really is the master of blogging, along with holding the title of king of marketing. He's smart and concise (nice short, manageable blog articles). Copyblogger – this is a fantastic site for online marketing success – blogging resources, search engine optimization, and just overall great advice for marketers. Hubspot – these guys coined the term “Inbound Marketing” – they are smart and provide great education through their blog. New Homes Directory Blog – Jim Adam's blog specific to New Home Builders and Developers. Jim's an expert in social media, search engine optimization and blogging. Mike Lyon – Do You Convert? – This is a fantastic example of using many different types of media successfully in your blog. Mike is a creative, smart guy who understands the challenges that home builders and developers face. His blog is informative and relevant. mRelevance – another blog specific to homebuilders and developers. Carol Flammer and her team offer great advice ranging from public relations to internet marketing and have recently launched a blogging platform specifically for homebuilders. Check them out. 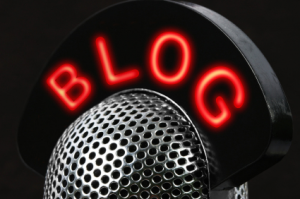 The following is a list of a few of Lasso's clients who are blogging. 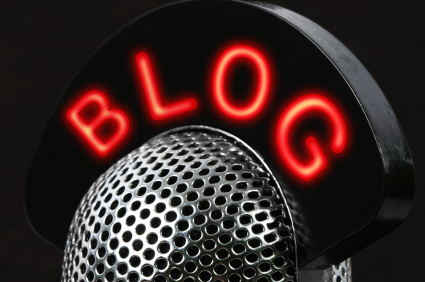 Let us know who else has become a blogger and we'll feature you!